للمسافرين الذين يرغبون أن يعيشوا كل ما تقدمه المدينة، شقق مراكش هو الخيار الأمثل. يمكن من هنا للضيوف الاستمتاع بسهولة الوصول إلى كل ما تقدمه هذه المدينة النابضة بالحياة. إن سهولة الوصول من الفندق إلى المعالم السياحية الشهيرة الكثيرة في المدينة هو استثنائي بحد ذاته. إن الخدمات الممتازة وحسن الضيافة العالي في شقق مراكش تجعل إقامتك تجربة لا تنسى. هذه بعض الخدمات الموجودة في هذا الفندق: أمن على مدار 24 ساعة, مطبخ, تسجيل وصول/خروج سريع, تخزين الأمتعة, صف السيارات. تنعكس أجواء شقق مراكش في غرف الضيوف.تلفزيون بشاشة مسطحة, غرف لغير المدخنين, مكيف هواء, تدفئة, شرفة/ تراس هي بعض الميزات الموجود في العديد من الغرف. صممت خدمات الاستجمام في الفندق والتي تتضمن حوض استحمام ساخن, مركز للياقة البدنية, ساونا, حمام سباحة خارجي, حمام سباحة داخلي لمساعدتك على الاسترخاء والراحة. إن شقق مراكش هو خيارك لخدمة الفنادق الراقية في المدينة. مكتب الإستقبال مفتوح من 08:00 AM إلى 04:30 PM خلال أيام الأسبوع و من 08:00 AM إلى 04:00 PM خلال عطلة نهاية الأسبوع. على الضيوف الذين سيصلون خارج هذا التوقيت أن يتواصلوا مباشرة مع العقار قبل وصولهم ليت ترتيب هذا الامر. مكتب الاستقبال مفتوح من الساعة 8 صباحًا حتى الساعة 3 عصرًا في العطلات الرسمية. يجب أن يستخدم الأطفال دون عُمر 3 أعوام أسرة الأطفال. This was such great value, the hotel pool and facilities were spot on! The room was dated but that’s almost standard for the Gold Coast. The reception said some rooms are renovated so hopefully they will all be done. But I’m saying that they were still very clean and nice. Air con only in the bedroom and not the lounge. 2 balconies were great and spacious. Foxtel in the lounge was great. Cooking, washing and cleaning facilities. The location was great as it’s right in the border of Surfers and Broadbeach so both are walkable which gives you grey options. 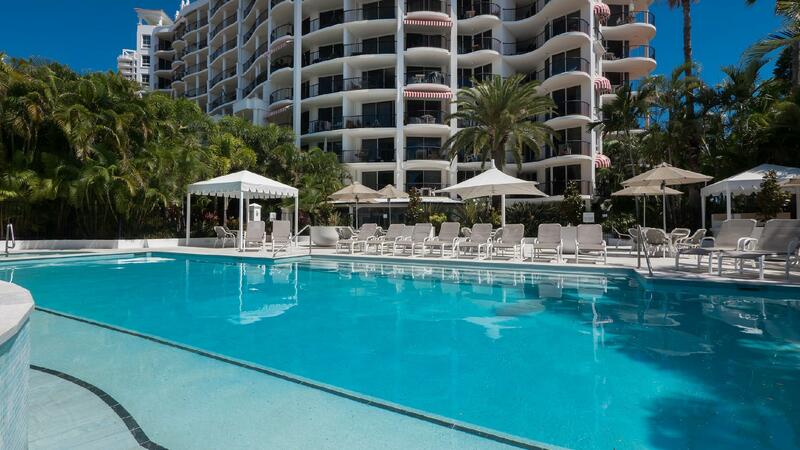 Very well maintained, great facilities and helpful staff. We were able to walk to the beach and easily visit Dracula's, so a very good position for us. Apparently smokers can use their verandahs, which might put me off returning, but we were not bothered by any smoke from other verandahs whilst we were there. Our apartment and the whole facility felt very fresh and well maintained with lovely gardens and heated pools/sauna and spas. the apartment is quite clean and comfortable with convenient underground parking places. we arrived late and the checking-in is smooth. however during our stay, there was once the fire alarm in midnight, proving to be a false alarm. Stayed for 2 nights and found the accommodation to be pretty good. The apartment is a good size and has everything you really need in it. It was very quiet there, and there is a roof top area to use for a bbq or just sitting around. The pool area was fine with quite a few sun beds and an outdoor and indoor pool. The gym was also adequate. When we first walked into the apartment it slowly sank in that we had made the right choice. The apartment had everything we needed, it was clean, the bed was very comfortable, the bathroom was spacious and modern. Having Foxtel in the living room and a small mounted TV in the bedroom was fantastic for late night relaxation, and the spa, indoor and outdoor pools and the sauna were excellent. There are only two relatively minor drawbacks for us. The first is that in the 21st century, it is inexplicable for there not to be free WiFi in a 4 star apartment. It is an Australia wide issue not specific to this apartment though so I didn't let that lower my rating of our stay. The second issue that I did dock a star for was that the free breakfast wasn't exactly free. Each person had a maximum spend of $10 so if you wanted food AND coffee/tea you would have to pay for it. The terms of the breakfast vouchers are quite strict too. Overall we really enjoyed our time. Would recommend to all! We stayed in a 2 bedroom apartment which was great, very clean everything you need and so central to transport. I was a little disappointed with one man on the front desk. We were very unlucky having work carried out on the landing under the bedroom window 4 out of the 6 mornings starting before 8am. I know that Queenlanders get up before dawn but being on holidays i except to be able to sleep in. I went down to the front desk the day before we were due to depart to check if we could have a extra hour on our last morning as a little makeup for being woke up for 4 mornings. The man i asked said that he would check before he could check another man looked up and said "no we are back to back you need to be out at 10am" then continued to work on the computer so rude, no i'm sorry about being woken up etc. Such a shame to end our wonderful stay on a sour note. Other staff on the front desk were very friendly and helpful. Stay was pleasant. Found a cockroach in the lounge room. Apart from cockroach, everything else was quite clean. Bathroom a bit dated. Staff were excellent and professional - late checkin process, less than 2 minutes. We spent a fantastic 9 days staying at the Marrakesh Apartments. It was always clean & tidy & the staff were very friendly. The pool area is great with the option of either the indoor or outdoor pool depending on the weather but both are heated. The dining area on the rooftop is a lovely place to eat as the sun goes down & also to have breakfast, these areas were always spotlessly clean and tidy. Nice and easy to get to the tram from here. 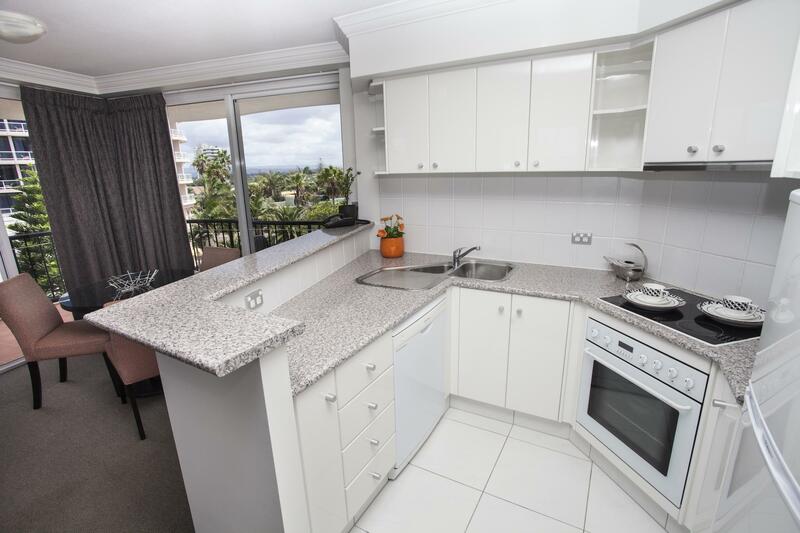 Great kitchen & laundry facilities, quiet, cosy classy comfy modern furnishings, clean, modern fittings, Foxtel, relaxing balcony space, great location close to the beach & some great cafes & local Broadbeach amenities, & out of the crazy of central surfers but close enough if you want to visit. Definitely meets the 4.5 stars as advertised. Thoroughly recommend!! We have stayed at Marrakesh apartments before and although management has changed, the change has been seamless. The whole place is spotless, everything works and the staff are always on the ball. Having permanents certainly keeps everybody focused. Great location,close to buses, the tram(G-link) , to the beach and shops. The staff is very friendly and very helpful. The apartment was lovely and comfortable, equipped with all you might need and with lovely sea views. The pool area was very lovely and clean and nice gardens. We loved very much our 7 days stay at Marrakesh Apartments and we look forward to staying here again. I would highly recommend a stay at the Marrakesh Apartments. Stayed for 6 days at Marrakech. Breakfast is included and adequate to start our mornings. Clean, tidy surroundings and tastefully interiored. Ample-sized, self contained rooms with comfortable bed. 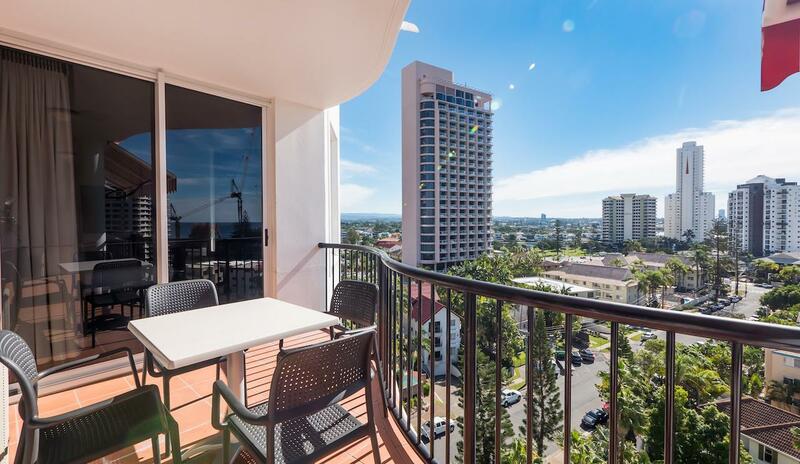 Excellent views of Surfer's Paradise from our balcony and the Rooftop patio. Love the choice of indoor or outdoor pool and jacuzzi spa. Enjoyed our stay and my daughter is thinking of coming back to live here. I stayed at two apartments in Marrakesh Apartments during this trip to Gold Coast and while I found them both tidy and comfortable, the interiors of apartment number 511 were a little dated. However, the bedrooms did not have any air-conditioning or a fan. I would also like the management to consider including the breakfast when so stated in the booking instead of issuing a $10 voucher. The bed, linen, toiletries were good quality and this property is otherwise very conveniently located. I would definitely consider staying there again! Marrakesh was grand with all that you need to be able to enjoy your stay at the Gold Coast. Bus stopped out side the door, but if you fancied a 'stretch-of-your-legs' it was extremely pleasant. Not to have to make your own breakfast, adds to your holiday. The room was good, bed was comfy and plenty of space. The hosts Stuart & Mandy lovely, they will look after you, thank you,hen. Totally recommend after a 4 night stay. The unit was clean with a balcony and sea view. Felt like home away from home. Had breakfast four mornings which was lovely by the pool. A small tavern around the corner for evening meals and a short walk to the tram which we used daily. Very central location. Would definitely recommend and stay again. Excellent spot - within walking distance to eateries and the Broadbeach mall, yet quiet enough not to suffer from all the late night parties. Close to the tram(G-link) and to the beach. The stuff is friendly and very helpful. The apartment was nice and comfortable, equipped with all you might need. We spent 5 nights at the Marrakech Apartments. The location was perfect to enjoy Surfers Paradise without being too close to the traffic and noise. We had a view of the hills and also the ocean which was only a 5 minute walk away. The foyer and room were very clean and tidy. There was also an awesome rooftop terrace with barbecue facilities overlooking the city, ocean and hills. 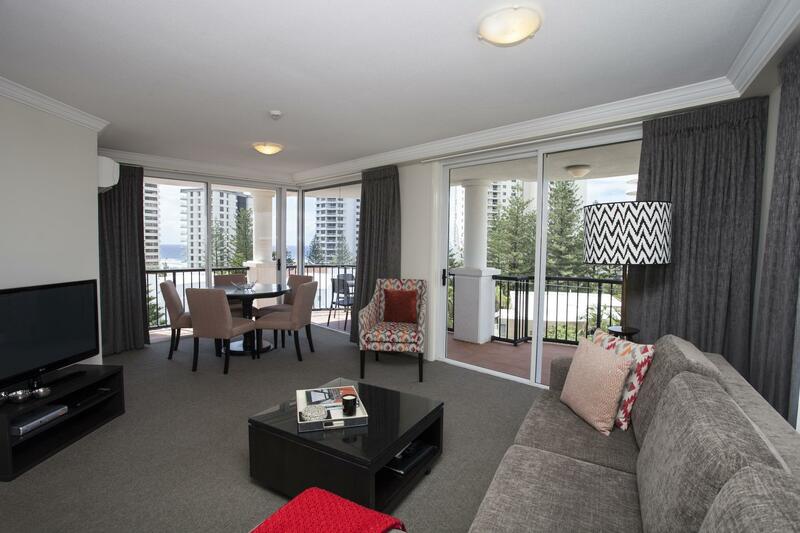 The Apartments are also a good base to visit the theme parks and surrounding attractions of the Gold Coast and Surfers Paradise. We throughly enjoyed our stay. Had breakfast vouchers with our Acoda deal and felt the menu was very good. Plenty to choose from and beautifully cooked. The only concern we had was the shower. I have a very sore knee, and found it very awkward to get in and out of. Anyone with the same problem (or arthritis) should be made aware of the situation. Apart from this, we were happy with our accomodation. 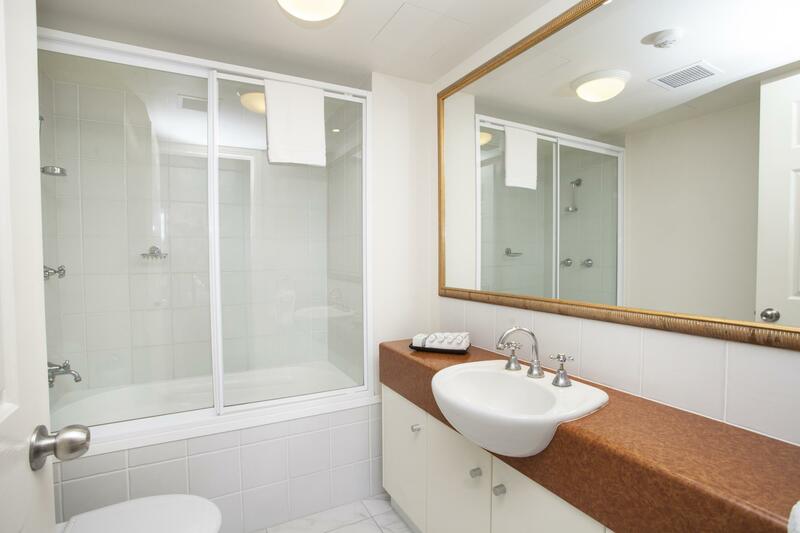 Location fantastic 20 minutes walk to either pacific fair or the heart of surfers, but for days when transport required bus stop outside apartments and tram stop only one and half blocks walk. 2 swimming pools, 2 spa pools fantastic swimming, Beautiful gardens. Units very clean and well provided. The staff so friendly and hopefully as were the permanent residents. Would differently stay he again or recommend to anyone. Thanks so much the staff and residents of Marrakech for making our holiday so relaxed and enjoying.